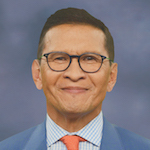 Raoul S. Concepcion, MD, FACS, presented “AR-V7 Predicts Response in CRPC” during the 27th Annual Perspectives in Urology: Point Counterpoint on November 9, 2018 in Scottsdale, Arizona. Physicians have developed myriad new drugs to treat prostate cancer during the past few decades. Unfortunately, many patients with CRPC have become resistant to one or more therapies, limiting their treatment options. This presentation reviews the scientific concepts behind this, as well as how using biomarkers to test for DNA mutations could provide new treatment options. With the increased development of resistance in patients with CRPC, physicians must understand the androgen receptor (AR) and its functions. It is important to understand the development of resistance mechanisms, as some are AR-dependent and some are not. This presentation reviews current agents with overall survival benefits in metastatic CRPC. The E3805 CHAARTED trial showed that androgen deprivation therapy (ADT) is more effective in combination with medication, although patients with high-volume disease differ from those with low-volume disease. Additionally, the discussion covers potential heterogeneity-induced resistance to treatment. This includes genetic alterations to drug targets, expression of multidrug resistance pumps, and evasion of apoptosis. Lastly, this presentation discusses recent findings regarding inherited mutations in DNA-repair genes, and their associated risks. A 2016 study found that 12% of prostate cancer deaths coincide with germline alterations in DNA repair genes. 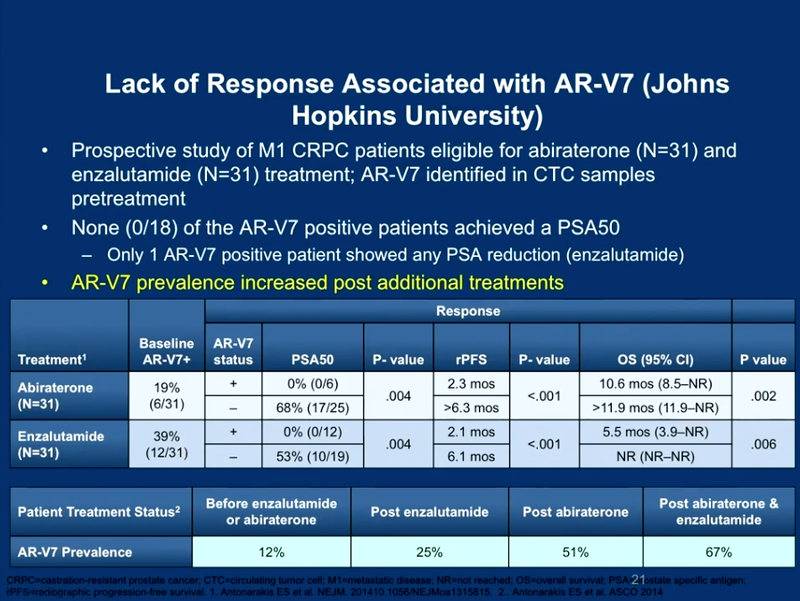 A 2014 study of the AR-V7 variant showed that AR inhibitors and AR blockers are ineffective for patients with this mutation. Patients with CRPC demonstrate increased expression of this variant. This means physicians can use circulating tumor cells as a predictive biomarker during testing. As new drugs for treating CRPC become available, testing for resistance to these drugs and alternative treatment options increase in importance. Ongoing research involving predictive biomarkers will allow physicians to make more informed decisions about how and when to treat patients with CRPC. Perspectives in Urology: Point Counterpoint (PCP) is an annual CME-accredited conference devoted to discussing and debating the latest topics in men’s health, general urology, and genitourinary cancers. The conference’s format includes more than didactic lectures. It also includes debates, point-counterpoint discussion panels, and unique case-based presentations. Dr. Concepcion presented this lecture during the 27th PCP in 2018. Please visit this page in order to register for future PCP meetings.